Lock in a great price for Palia Damouhari - rated 9 by recent guests. We stayed here for 3 nights in a cozy apartment with a balcony overlooking the sea. We ate breakfast on the balcony every morning and in the evening we enjoyed some ouzo with our sea view. The apartment was big, beautiful, and clean. 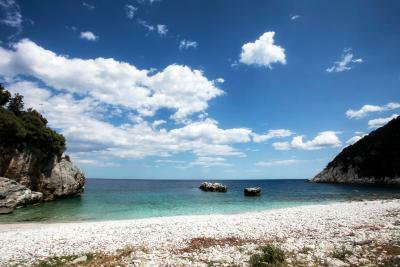 The sea is just a one-minute walk from the apartment. All of the staff were polite and willing to accommodate your requests if need be. After checking out of the apartment and already several hours away from the location, I realized that I had left my watch under the umbrella next to the restaurant. I called to ask if they had found it and they shipped it to me in Italy without even wanting money for the cost of shipping! To sum things up, we had a wonderful and relaxing stay and would recommend this place to everyone! 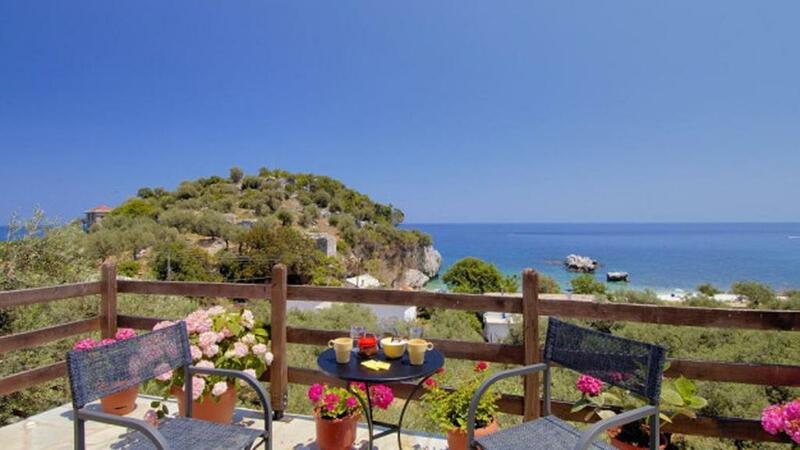 Absolutely stunning rooms with balconies overlooking the beautiful Damouchari beach. A real escape from reality. O ιδιοκτητης του καταλυματος αψογος και πολυ εξυπηρετικος. Το δωματιο εκπληκτικο με φανταστικη ++++ θεα! Το κρεβατι υπερ-ανετο και υπερδιπλο. Οσο για το εστιατοριο που διατηρουν τα παιδια μπροστα στην παραλια, εκπληκτικο. Strandlocatie was top. Gelegen aan een prachtige baai. En een gezellige strandsfeer. Het personeel was erg vriendelijk en complimenten voor de kok van de taverne die er bij hoort. Tolle Lage mit großartiger Aussicht. Da der Strand (kristallklares Wasser)sehr steinig ist (Badeschuhe! ), sind private Liegen und Sonnenschirme unter Olivenbäumen sehr angenehm.Sandstrände fußläufig erreichbar (1/2 Stunde). Sehr freundliches Personal, auch in der dazugehörigen,sehr guten Taverne am Meer. Ausgangspunkt für schöne Wanderungen . Ο ιδιοκτητης πολυ εξυπηρετικος, ανταποκριθηκε αμεσα σε ο,τι αιτημα ειχαμε. Die Bucht ist sehr idyllisch und das Wasser sehr klar. Alle 2 Tage gibt es frische Handtücher und es wird sauber gemacht und die Betten frisch bezogen. Wir haben eine Woche im Palia Damouchari verbracht und uns dort sehr wohl gefühlt. Das Zimmer war komfortabel, sauber und sehr nett eingerichtet, das Bett bequem und der Blick von der Terrasse auf die Strandbucht einfach toll. Auch in der zur Unterkunft gehörenden Taverne haben wir sehr gerne gesessen und gut gegessen. Damouchari selbst ist ein niedlicher kleiner Ort, ein ideales Ziel für alle, die Ruhe und Entspannung suchen. Jederzeit gerne wieder. 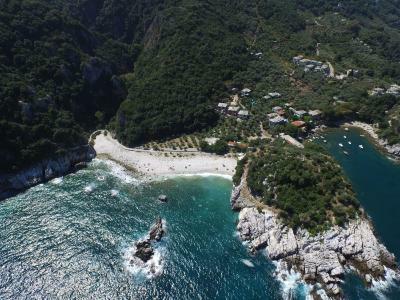 Featuring a Greek restaurant, and traditional suites with fireplace and sea views, guesthouse Palia Damouhari enjoys a tranquil location right above a secluded cove. Free Wi-Fi is available throughout. The spacious Palia Damouhari suites are styled according to the regional architecture and feature terracotta tiled floors and wooden roofs. Each is open plan and offers a romantic canopy bed and a comfortably furnished seating area with sofa and armchair. Suites are either located on the upper floors, enjoying panoramic views over the Aegean, or on the ground floor with access to a private courtyard. Guests can start their day with a homemade breakfast, including traditional flavours of Pelion. Local dishes are served at Old Damouhari’s restaurant, offering beautiful views of the sea. Palia Damouhari guests can follow the walking trails that lead to the villages of Mouresi and Tsagarada, or discover the surrounding countryside on mountain bikes. 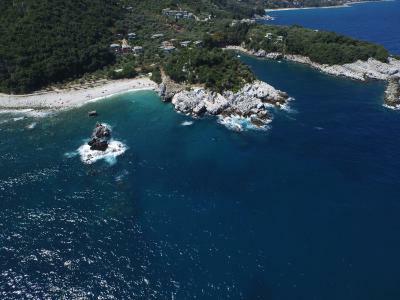 The guesthouse is close to the beaches of Papa Nero and Agios Ioannis, while the Pelion Ski Centre is easily reached at 18.6 miles. 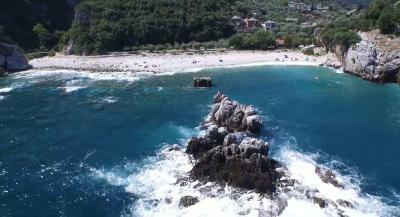 This property also has one of the best-rated locations in Damouchari! Guests are happier about it compared to other properties in the area. This property is also rated for the best value in Damouchari! Guests are getting more for their money when compared to other properties in this city. 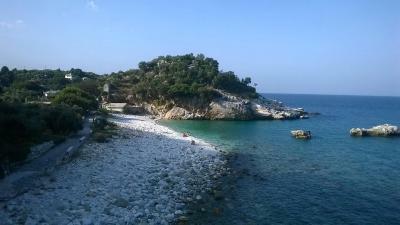 Palia Damouhari has been welcoming Booking.com guests since 23 Mar 2011. When would you like to stay at Palia Damouhari? Spacious, traditionally furnished suite with private balcon with sea view. Spacious and traditionally furnished suite with patio with sea view. 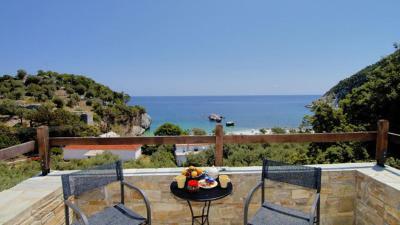 Our holiday houses have amazing view at the Aegean sea. They are situated practically in the middle of nature between mountain and sea, between heaven and earth. House rules Palia Damouhari takes special requests - add in the next step! Palia Damouhari accepts these cards and reserves the right to temporarily hold an amount prior to arrival. It rained 1 whole day which we loved. Unfortunately the room flooded and we had to use the towels to mop it up. Fortunatly the housekeeper brought us new towels.